What are the ILD and Density ratings of your organic latex? Our standard mattress uses 3" of D65 medium-plush latex while our pillow-top mattress uses 5" of D65 medium-plush latex. Indentation Load Deflection (ILD) is a test that was standardized in Great Britain for testing the firmness or hardness of polymer materials. ILD is measured by indenting (or compressing) a foam sample to 25 percent of its original height. The more force required, the firmer the foam. Density is a measurement of the mass per unit volume expressed as kilograms/cubic meters. 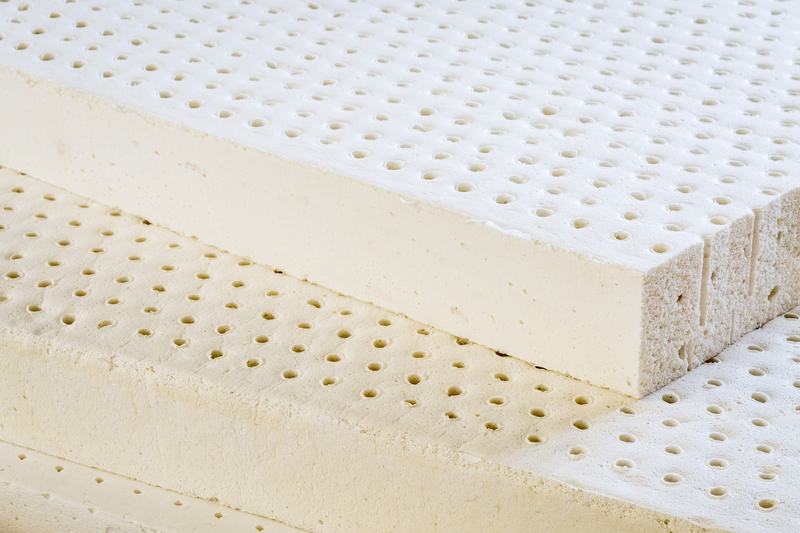 Density in natural latex for mattresses usually varies from around 60 kg/m3 to about 95 kg/m3. 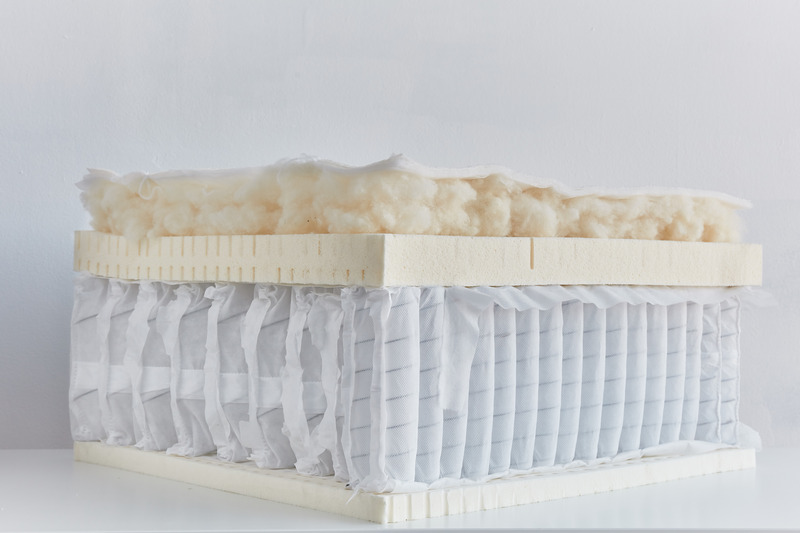 On our standard Avocado mattress, we use two seamless layers of GOLS organic certified Dunlop latex: 2 inches in the comfort layer (D65 / 14-19 ILD, medium); and a 1-inch layer (D65 / 14-19 ILD) as a core base component under the innerspring support coil unit. 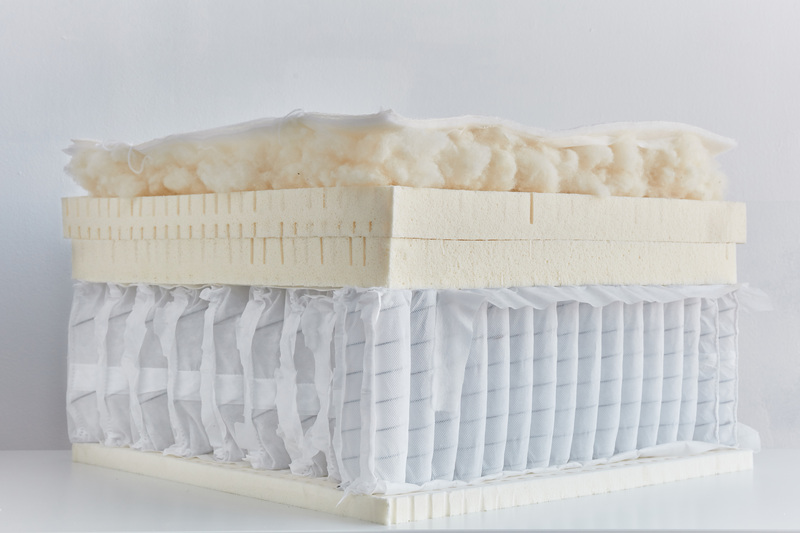 On the Avocado Mattress with the optional Pillow-Top, we use three seamless layers of GOLS organic certified Dunlop latex — 2 inches in the Euro-top layer (D65 / 14-19 ILD, soft), 2 more inches of D65 latex in the comfort layer, and a 1-inch layer as a core base component. No blended or synthetic latex is used, and there are no seams to break down over time or chemical adhesives.